Most people are oblivious that humans cast spells on each other all the time without even knowing it. A hateful x-spouse, a jealous neighbor or an envious co-worker can wreck havoc in your life by simply having negative feelings and ill intent towards you. Get your life back on track with the MOST POWERFUL ancient Kemetic talisman to deflect evil-eye energy, jealousy, envy and hate. Don't wait until you are under spiritual attack to protect yourself and your loved ones. It is often too late then! Damage has been done. *FORTIFY yourself from the start and deflect peoples negative energy back to them! The symbol quickly resonated with my sense of power. 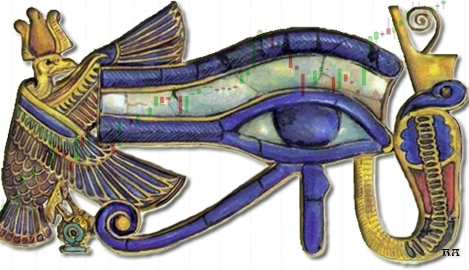 In alignment with the Eye of Ra, I've gone deeper into its mysteries. Fortification energy radiates from me, burning up the resistance forces in my way. This pendant is truly POWERFUL talisman. I highly recommend this generator!